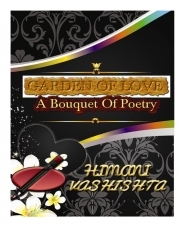 Description of "Garden Of Love (eBook)"
GARDEN OF LOVE is a small collection of nine romantic poetry, written with love and passion. It will make you remember your own love story and you will fall in love again with love and the idea of falling in love. Some of the poems have been taken from Himani’s book ‘Princess Of Falcons’. The book portrays the inner-most feelings of the poetess. She expresses her love for people by dedicating poems in their honour. Indeed, the theme of ‘love’ itself is an interesting topic, in simple and eloquent style. Himani has truly pen down her emotions in an outstanding way. Reviews of "Garden Of Love (eBook)"